When I was first offered an early copy of this book for review, I thought, sure! I mean come on -- it's Alan Alda -- it has to be entertaining, right? Entertaining is not a singularly correct word for this book. 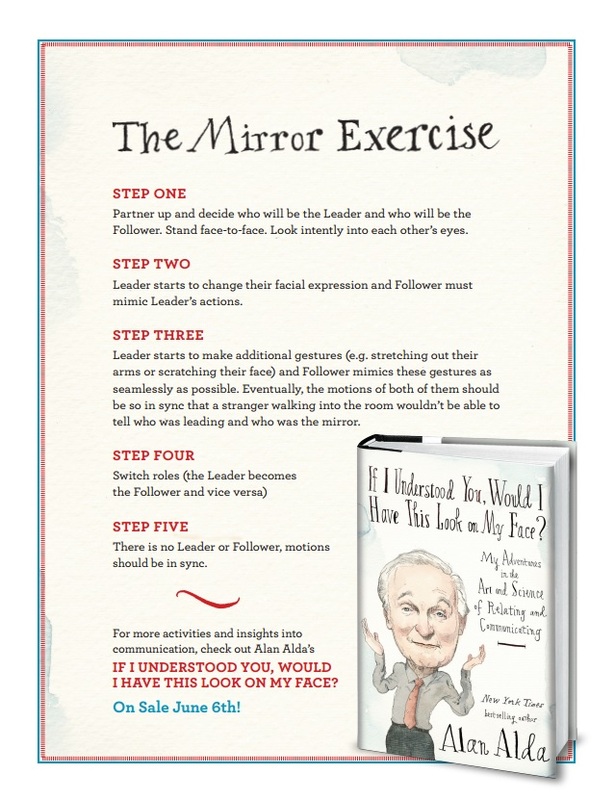 Alda's book, IF I UNDERSTOOD YOU... is engaging, educational, enlightening, and entertaining. 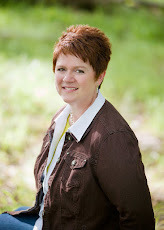 For my complete review, scroll down. Alda is an acclaimed actor, star of M*A*S*H, writer, and director, whose many years of interviewing guests on PBS’ Scientific American Frontiers led him on a quest to develop ways to help us learn how to communicate better. 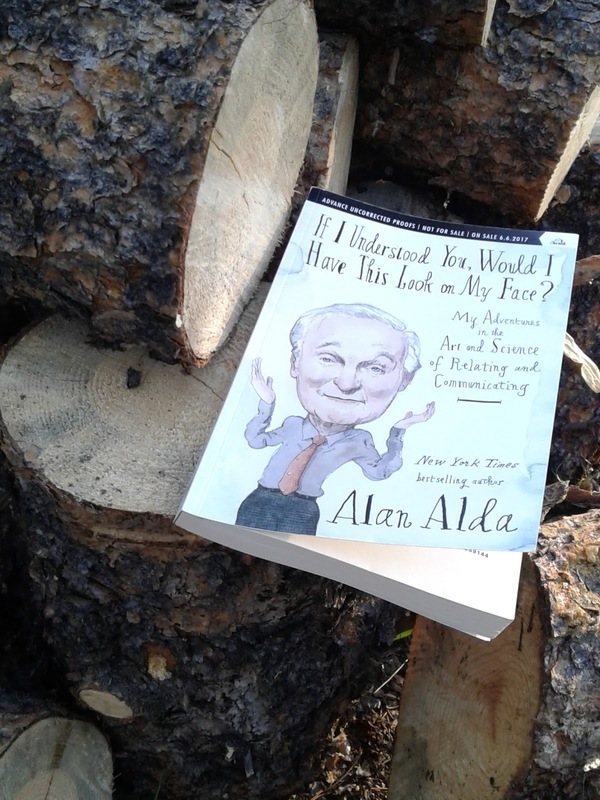 In his new book, Alda reflects on moments of miscommunication in his own life, and teaches us ways to build empathy, use improv games, storytelling, develop a mind-reading ability, and more, all in an effort to improve the way we relate and talk to others. With his trademark humor and frankness, Alda digs into the heart of what it means to be a true communicator: being able to read another person so well, you know what they’re thinking and feeling and are able to be in sync with them. Alda has seen this kind of engagement facilitate real communication in a wide range of settings: within families, between lovers, at the office, between doctors and patients, and between scientists and the rest of us. 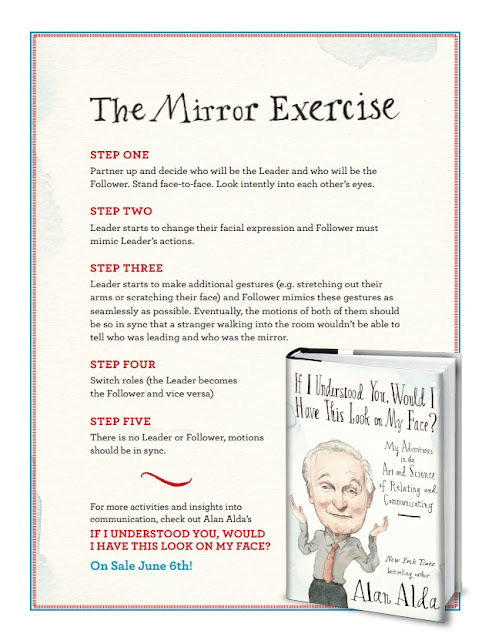 Alan Alda's book, IF I UNDERSTOOD YOU... is engaging, educational, enlightening, and entertaining. Most importantly, it answers the question: What should I buy as a gift for everyone I know? I will be buying multiple copies of this book to give as gifts for Father's Day, Graduations, Birthdays, Christmas, Mother's Day, Weddings, and every other possible occasion that needs a gift given. Simply because the book, IF I UNDERSTOOD YOU..., will be a terrific tool for parents, students, public speakers, psychologists, and anyone else who needs to communicate well, which is all of us! Alda's content focused quite a bit on the perspective of scientists and their need to communicate well, and the content fell a bit short when it dealt with business professionals and their needs. However, Zig Ziglar will always be the master of business and sales communication skills. So if you want to improve in that specific area, turn to Ziglar's books. With that said, I've read a LOT of books and I've attended a LOT of seminars on how to improve my communication skills and this book by Alda is absolutely fabulous. I kid you not when I say that I will be buying multiple copies for people I know.